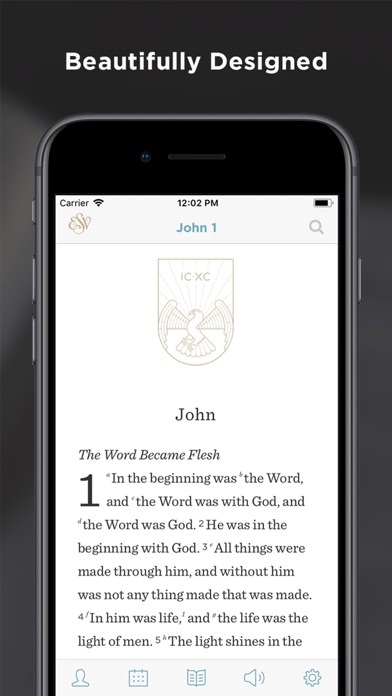 The ESV Bible app was designed to be the most beautiful and intuitive Bible app available. 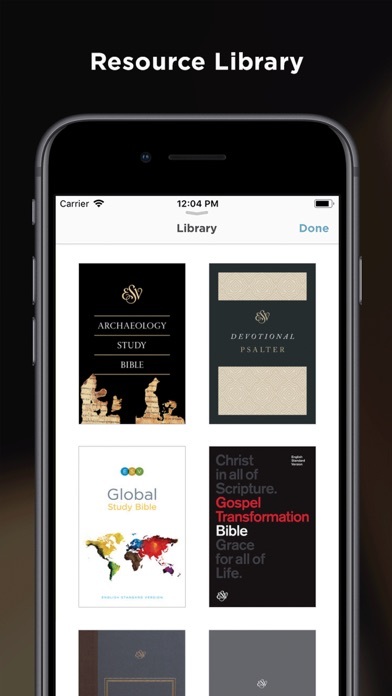 The app includes free resources such as interactive reading plans, audio streaming, and free access to the ESV Global Study Bible. • Read. Dig into the English Standard Version via an elegant interface designed specifically for mobile devices. 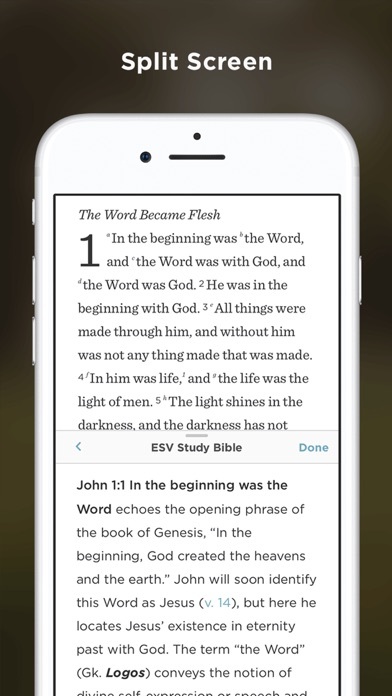 Quick access to cross-references, split-screen reading, and an innovative reader’s mode make it easy to engage with God’s Word on a deeper level. • Study. 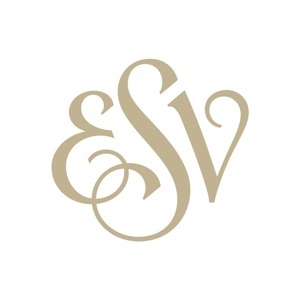 Read the ESV Global Study Bible alongside the biblical text for free. Subscribe to one of our paid plans at ESV.org to unlock additional study resources, like the ESV Study Bible, ESV Archaeology Study Bible, Preaching the Word commentary series, and more. • Audio. Stream a free audio reading of any passage (internet connection required). • Reading Plans. 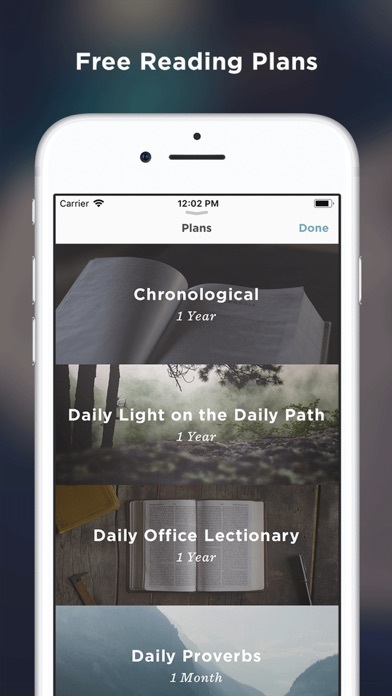 Choose from over 30 free interactive Bible reading plans and devotionals and track your progress. • Search. Search the Bible by reference, keyword, or phrase with lightning speed. • Write. Capture your ideas and reflections while listening to a sermon or during Bible study in personal notes attached to specific passages. • Highlight. 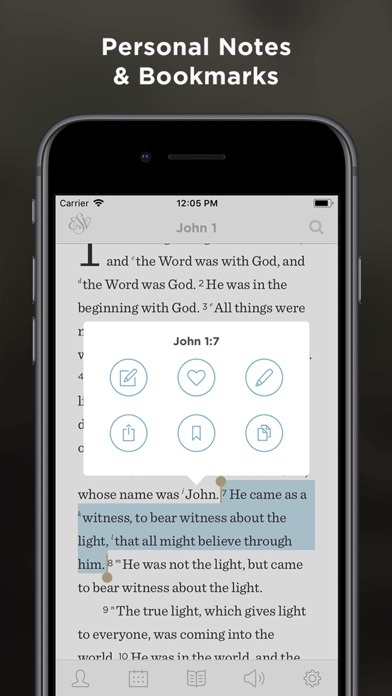 Highlight and bookmark favorite verses with just two taps. • Sync. Sync your highlighted verses, personal notes, and favorites with ESV.org—giving you access to all of your content from any browser. • Share. Share verses with friends and family via text message, email, Facebook, and Twitter.